﻿Saturday morning in New York my friends and I woke up and headed to Freemans, my favorite restaurant in the city. 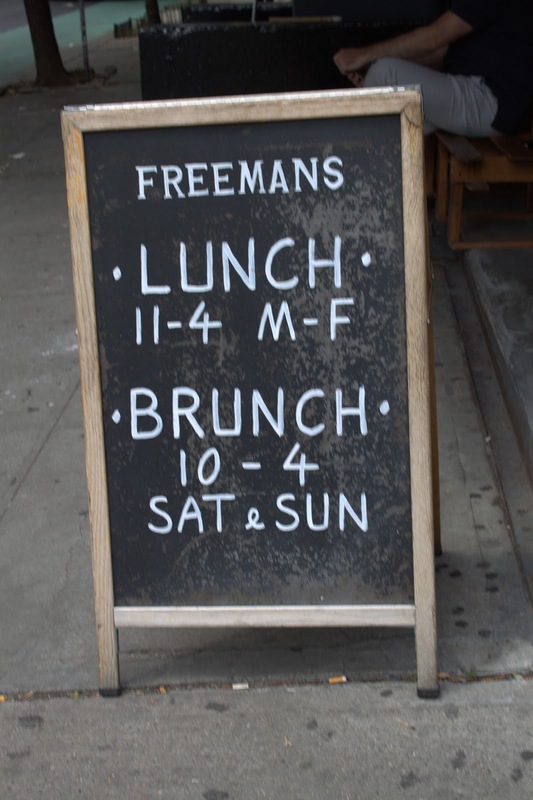 The inside of Freemans, especially during the bustle of weekend brunch, is much like anywhere else in New York - tight. Our table was literally inches away from fellow diners. To say we were hungover hungry was the understatement of the century. Our eyes lit up as our food arrived and my friend Stacie dove into her meal like a savage. She immediately grabbed for her baguette only to learn it was HOTTTTT. She instinctively chucked it out of her hand and into the forehead of a fellow diner across the room. Stacie (left) & I at Freemans, pre-baguette incident.